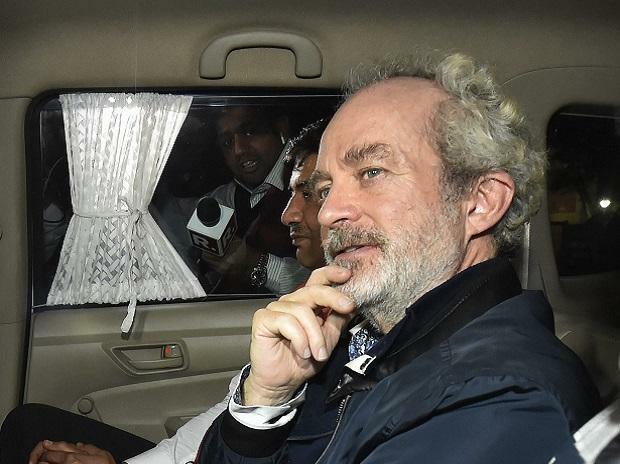 The Enforcement Directorate (ED) on Saturday told a special court at Patiala House Courts Complex that Christian Michel, middleman in the AgustaWestland deal, received kickbacks for many other defence transactions. Michel was extradited to India from Dubai in connection with the Rs 3,600-crore deal with Anglo-Italian company AgustaWestland to purchase choppers for VVIPs in India. The Special Court judge Arvind Kumar has sent Michel to judicial custody till February 26. Seeking Michel’s judicial custody for 15 days, the ED told the court that during interrogation, he had given contradictory answers to many questions. According to the agency, even Michel was unable to explain the contradiction. Michel was sent to a seven-day ED remand on December 29, 2018. Citing the prosecution complaint filed in 2016, the ED said Michel had received 24.25 million euros and 1.6 million pound from the Agusta deal. “During the interrogation it was observed that he had also received money from other defence deals, which the ED will enquire,” the agency said in the remand application to court. During the hearing, ED counsels D P Singh and N K Matta alleged that all the documents such as the audit report submitted during the trial in the Italian Court appeared “factually incorrect”. The prosecutor pointed out that documents from five nations have been received so far through letters of request to foreign countries. “There are reasons to believe based on the evidence and material in possession to link the said accused to the offence of money laundering. His role is duly explained in the prosecution complaint (chargesheet). The accused is a British national and has no roots in India. There is every likelihood that he may abscond from India and evade the process of law, especially in light of his past conduct,’’ the ED said. The ED has filed three supplementary chargesheet in the case so far. The counsel will now initiate bail application with the court. During the hearing, Michel’s counsel argued that no incriminating evidence was shown to them during the interrogation. Michel is among the three middlemen being probed in the AgustaWestland deal, besides Guido Haschke and Carlo Gerosa, by both the ED and the Central Bureau of Investigation (CBI).